Read below for email and contact policies and information. I’m going to be up-front honest here – my inbox is kind of a disaster, and it’s a big source of stress. I love hearing from readers, and generally read every email that arrives in my inbox, but responding has become more and more difficult as email volume has increased. When trying to balance spending time with my family (I have a wife and three little kids), writing blog posts, running (so I can test products I review), working in the clinic, and answering email, the latter tends to get short shrift. Though I try my best to respond to emails, sometimes weeks may go by before I get a chance to tackle my inbox. Sometimes messages slip off the first page of my inbox get lost forever in the Gmail abyss (sadly, more often than I like to admit). A. Leave a comment on the blog. I usually respond to all blog comments within a few days. And often other readers will chime in as well. B. Join the Running Shoe Geeks group on Facebook and post a question there. RSG is an active group of 3000+ runners who post about all kinds of topics related to running, but with a focus on footwear. This is probably the best place on the web to get some shoe advice. C. Connect with me on Twitter. I’m pretty good about responding to short questions quickly on Twitter, and my Twitter client is almost always running in the background so I often will respond very quickly. You can find me at @runblogger. 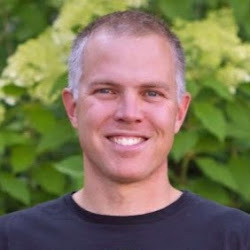 D. If you would like to email me with a question, you can do so at pete262@runblogger.com. I do tend to be better at answering reader emails than PR/marketing inquiries, so feel free to send a message. E. You can also connect with me on the Runblogger Facebook Page. I get pitched products on a daily basis, sometimes multiple products per day. Many that are completely unrelated to the content of this site – for example, BB guns and dating cruises are probably not a good fit :). I turn the majority of offers down, and for the most part I tend to review products that I purchase myself (with the exception of some footwear and fitness electronics, and even there about half of the products I review are purchased by me). This is my way of trying to manage the flood of offers that I get (and it makes doing taxes easier!). If you would like to pitch a product to me, you can do so at pete262@runblogger.com. Please note, due to the volume of requests that I get, I do not generally publish unsolicited blog posts. I generally do not post press releases (except previews of new shoes and certain fitness electronic devices). I generally do not promote crowd-funding campaigns via blog postings. I also generally do not promote races or events on Runblogger. For advertising inquiries, go here. Im running the Dublin city Maraton in one week.I am on my 3rd pair of Newton motion.The last pair I got were a new type they changed and put extra cushioning in them.I have about 220 miles up on them but think they are very stiff on the last few runs esp the last one.In your opinon how many miles shoud a shoe have up before they are no more use.Also how many miles does it take to break a new pair in.Trying to decide should I get a new pair or stick with what I have.A bit of a last minute crisis I suppose..
help, so do what will make you most comfortable going into the race. individualized that it’s hard to make a blanket statement. SEBASTIAN FROM ECUADOR WRITING HERE. GREAT BLOG. QUICK QUESTION, DO YOU HAVE ANY ARTICLES WHERE YOU LIST YOUR TOP 10 OR 20 PREFERENCES. I CURRENTLY RUN WITH LUNARELITE/LUNARLITE AND LOVE IT, BUT I NEED TO GET NEW SHOES SOON AND I’M LOOKING FOR GOOD OPTIONS AVAILABLE IN THIS MARKET. I SHOULD ADD THAT I HAVE A LITTLE OF A FLAT FOOT BUT THIS HAS NEVER BEEN AN ISSUE FOR ME. AND I WILL RUN AROUND 20 MILES A WEEK. THANKS FOR YOUR RESPONSE. Thanks for the quick response!! I do prefer somewhat cushioned and this is mostly for both. I am not certain if I am ready for something completely flat either, but I am open for the options. Thanks, hope this helps. About the Nikes, i really liked them. but since I am pretty new in the issue, I wonder if I could do better with other shoes.On August of this year I ran my first race, 15k in the altitude, and did 1:33:25 and 2 weeks ago I did 1:40:41 in my first 21k so I see improvement and I think if i do get better shoes and tools I can just increase my performance. great stuff Pete- keep up the good work! Cool stuff. I dont’ have a high speed camera to capture my form in my Vibrams… but I figured I’d give stroboscopic flash photography a shot. I think I need to try this from behind to see pronation… since I can see that I’m not heel striking in my Vibrams. Im from Brasil and I always follow the news of your blog. First of all congratulations on your blog, which has very important information for worldwide runners. Sorry about my english it is not very good. I have a question and would like to ask for your help. I would be grateful if you can send me an email replying it. Some running shoes brands offering cushioning technology based in the return of energy or impulse response, in other words, when the foot touches the ground, this impact is generated a return energy in propulsion way, to ensure that the runner has a better income or performance but with less physical effort, in other words, more common among us runners, it is the response of the running shoe. I would like to know if this return of energy, is considered a negative energy, detrimental to the runner and if this can cause some injury to the knees or feet, Do you know anything about it? Recently I bought a shoe in a specialized running shop and they gave me this kind of information, do you know if it’s true or myth? It looks like you’re a little forward; that is, that you’re not landing right under your hip. Just wondering if that photo is representative of your form or if you’re even aware? I had a video taken of me once in http://www.invisibleshoe.com sandals and I noticed the same thing. So, it’s something I work on. Is it a defect or a feature? If you watch the Kenyans and top marathoners, they land right under their hip. I found an amazing youtube video pointing this out. Where the guy — I think he was a PT — took video from the of the course as they went by. He freeze framed parts and showed their hip angles and all sorts of interesting stuff. I would like to see a review of sunglasses, looking for a pair that don’t fog up too bad, great blog, congrats on you Boston adventure!! store. I treat them too badly to buy anything expensive! Great blog first of all. Do you have any favorite running jackets, especially for cold/rainy weather? not as good at shedding water. Sorry I can’t be of more help! I love your blog. It has really inspired me to transition into minimal running, and I have to say that my pain has decreased since I made the switch! I still get some minor ITBS pain in the side of my left hip when running though. Do you have any suggestions for what I should do? I’ve been running in the Kinvaras for about a month now. Maybe try out some VFFs? Let me know what you think. It’s complex, and seeing a knowledgeable doc is the best thing to do! You have a great blog and I am extremely thankful that I found my way here. I have been a runner since September 2010 but I have made pretty nice progress in this short time, completing two half marathons under the mark of two hours and one hilly 30km race just a minute more than three hours. I, too, am a sucker for running shoes and I have tried so far Mizuno, Asics, New Balance and finally I found Saucony. I have been “forced” to wear structured and support shoes because of my pronation but I believe that I can do the change and start running minimalistic. I loved your blogs about change the strode from a heel to a mid-foot one and the study about how pronation does not really require support shoes. I found your blog because I am eager to purchase a pair of Saucony Fastwitch 5 and your review and other entries are just pushing me forward to doing it. Another thing is I am working on running my first marathon by the end of November and I would like to do with a lower heel shoe but I am not sure I can manage marathon training together with a change of stride at the same time, I hope I can do/it can be done. Anyway, your blog is extremely inspiring and I will be following you on both Twitter and Facebook. working out without any trouble. Good luck, and thanks for the feedback! Still loving the blog. I have been wondering if you have come across any new GPS tracking software for runs. I have been using Sportttracks (pre 3.0 version) for years, but am wondering if there is some cloud software (other than Garmin connect) that people like out there. Anything new? I’m still using Sportracks. Does everything I need, so haven’t explored much else. This article may help explain why not everyone adapts to a fore/mid foot strike when running barefoot or in ultramimimal shoes. We can reduce shock by a few different kinematic strategies, one of which involves increased dorsiflexion at foot strike. This seems to be the favoured strategy by those running at slow speeds. The magnitude and direction of ground reaction force at foot strike is very important. Higher vertical forces will give greater shock whereas higher horizontal (braking) forces will give less shock (but more torque). The position of the foot at foot strike may not be as important as the position, direction and forces on the centre of mass (COM) at foot strike. The greater the vertical vector of the COM the larger the shock. A more horizontal vector will give lower shock. Thanks for reminding me about that study – I had read Amby Burfoot’s post about it awhile back and thought it was interesting. The question I have, and it’s hard to tell from the abstract, is whether the runners in that study were barefoot or shod. I’d be curious if the “ankle-strategy” is possible/sustainable if barefoot. Jay Dicharry and I have talked a number of times about this issue as well – he agrees with you that positioning of the foot relative to the COM at contact is far more important than foot strike. I agree, but still not sure if heel striking is sustainable over the long term on a hard surface for a barefoot runner. Too many studies have show dramatically increased loading rates for barefoot heel strikers. For shod runners with some cushion, I’d agree that strike type is not as important as landing location. Anyway thanks again, I reference that paper in my most recent post on the Vibram ACE study. The return of the NB MT101 is now the 101. I’ve been holding out for the day NB would rerelease this shoe. The best shoe I’ve ever owned. I’m ordering them now. Thanks for the heads up, didn’t know it was out yet! I think you left out the most minimal shoe of all – Converse Chuck Taylor hi-tops. Works like a charm. I tried jogging barefoot on my local high school football field. But with the chuck taylors you have a cheap, flat shoe that protects against cuts. I got them at Marshalls for 20 bucks. I’m not sure if you’re into this kind of thing but I sell Runner’s Bib Albums for storing race memories. Have you seen the new saucony grid profile? 4mm drop! Interesting shoe, but still 10oz. Looks to be maybe a mass market 4mm drop shoe? I think you’ll find this interesting – we have just published a video interview with Stefaan Engels who ran 365 marathons in 365 days! Amazing guy. It includes a full video interview, plus an audio only version and full transcript. I hope you enjoy it. If you would like to mention it on your site and link to Bodyhack.com that would be super awesome. Any questions just let me know and I will do my best to answer them. I was interested to know if youve tried out the Brooks PureCadence? If you have, would you prefer them to the Altra Instincts. And have you tried any Zoot shoes at all? Unfortunately no on the Cadence, and Zoots tend to have too high a heel forefoot differential for my taste. We are trying to get the word out so if you guys think that BudLinX may be a good running accessory for your readers any notice or mention would be much appreciated. Just wanted to say that I am anxiously awaiting you Mix Master review as I am trying to decide between them and the PureGrit for my next shoe. Yes, about a thumb’s width in front of the big toe. Thanks for the kind words! Pete. Let us know if you get your hands on a pair of Brooks Pure Drift early. Hi Pete — love your blog. 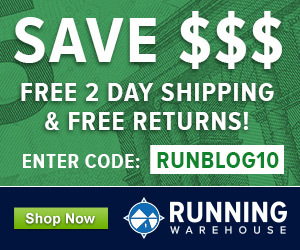 Quick question – the running warehouse coupon code RUNBLOG10 doesn’t seem to work for Brooks shoes. Is that a glitch of some kind or are they just not included in the discount? First I’d heard of that – looks like Brooks must have enforced a no discount policy on their shoes as none of the codes I know of work anymore. What do you know about the Soft Star Dash? I’m thinking of buying them for trail but they are only available online. Not sure, I need to follow up with him at some point. Pete: I have been running in minimalist shoes for over three years with no problems until now. The inside of my right foot (in front of the ankle bone) is inflamed to the point where I can barely walk. I went to a podiatrist and got an x-ray on my right foot. The doctor explained that I have an extra bone there and as a result the tendon is not in it’s proper place and gets inflamed when I run now. He is recommending motion control shoes which I dread using. I am hoping you are familiar with this condition and can give me better news. Do you know which specific tendon is inflamed? I believe it is the tendon that is above the arch, in front of the ankle on the left side of the right foot. Just trying to figure out which specific tendon is causing the problem. Unfotunately docs all too often suggest motion control as some sort of cure-all default without considering the underlying biomechanics. Pete that’s why I am interested in your opinion, I feel that there is a mechanical problem. Some background, this first surfaced lat Thanksgiving after a 4 mile run on a new route. My podiatrist suggests that the new route may have conteributed to the flare up. I went on a RICE regimen for at least 4 weeks, I did 3 one mile runs on flats when it flared up again. Went on RICE again for 6 plus weeks and started a walking regimen (3-4 miles) on flats. After a session that included hills the third flare up happened. I went to see the podiatrist again and he recommended motion control shoes again! I tried on several pairs of motion control and it felt like wearing boots! I hope you can shed some light on my condition with the extra bone and keep me on this minimalist path. Which minimalist shoes are you currently running in? I have gone between the New Balance MT10 and a Vivo Barefoot trail shoe, I forget which model. This is very difficult to interpret via email, but it sounds to me like maybe you have a sesamoid bone formed in the tendon of the tibialis anterior? Does it get aggravated when you flex you foot up and down? That is one of the primary jobs of this muscle, and this would make sense as to why it might get aggravated running hills. Kidner foot deformity (accessory tarsal navicular bone) with insertion Posterior tibial tendonitis. I asked for the diagnosis so I could do more research and he also told me to look up Pes Valgus. He is still recommending motion control shoes which I am hesitant to try. Are there any minimalist shoes that might help my condition? I am not looking for prescriptive advice but am hoping you have better news. I was reading your old post on 2nd Metatarsal pain with Vibram Bikila. I feel same issue with my right foots 2nd Met. I have tried various types of socks to no socks, but havent been able to solve the issue. Pain starts post 4-5 mile mark. How did you solve your problem? I stopped running in Vibrams, happens to me in almost every model and I think it has something to do with the toe pocket. Be really careful, second metatarsal stress fractures are not uncommon in people who overdo it in Vibrams. Thanks for the quick reply. I do enjoy barefoot feel of running. If out of your experience, for long distance which shoe would you recommend. Also yeah my feet sorta broad that was my major reason towards 5fingers. If you want a similar feel to Vibram without the toe pockets, try Merrell Barefoot Flux or Vapor Glove, or Inov-8 Bare-X 180. All have wide toeboxes. For flat with some cushion, Merrell Bare Access, Inov-8 Road Xtreme, Altra Instinct, Mizuno Cursoris are worth a look. Thanks man, shall take a look at the names you suggested. HI Peter, sorry to disturb, went through the list of shoes you had suggested, if you had to pick one for wide toebox and one flat with cushion what would be your personal pick. Making width the priority, I’d go with the Merrell Vapor Glove for an ultraminimal shoe with zero cushion, and the Altra Instinct for zero drop with some cushion. For anyone who is a big cross country runner out there, I need someone (coach or athlete) to interview for my history day project. I’m doing it on girls equality in cross country… If anyone’s interested please post back. Big fan of your blog! The treadmill seen in this video with the Peg 29, is this your own personal treadmill? If not, do you own one? at the moment and respect your opinion. Maybe would be a good topic for future blog reviews? I bought it for the clinic, can’t recall the model off the top of my head. Will try to remember to check next time I’m in the office (on vacation right now). I read your review on the Nike Pegasus and I was impressed with your description of your pronation tendencies. But, why did you neglect to add that you had a “functional shortage” on one side. Did you self learn about pronation and or from other professionals? I liked the looks of the shoe for myself, right away (just for the comfort factor–I’m not a runner). I recently purchased a pair of Mizuno Ferus. Although they are good zero drop trainers I had hoped that they would be more durable: Like all my running shoes to date, the uppers broke out at the ball of my foot before my 30th run. I presume this could be due to a large volume of cross country and trial running. Could you recommend a pair of <6mm drop shoes that do not seem to do this? Unfortunately most of the trail shoes reviewed on this site are by guest reviewers since I tend to run roads more often. I do know that the Altra Lone Peak is a popular zero drop trail shoe among my readers, and the Inov-8 Trailroc series tend to get high marks has well. Personally I like the Salomon Sense Pro – the upper is randed and my guess is that durability would be good as a result. I have been looking at the Inov-8 trailroc 255 and this looks like it has a ‘Rand’. I live in Russia and buy all my sport equipment from USA online so my question is if you can help: please recommend some estethic and good running waterproof shoes for running in rainy days. I’ve tested Nike Flash all of them, Lunarglide is some cool but also give me feel of something boxy and too big on my feet as all Nikes. My other running shoes are all Adidas and i wanted to try something new, maybe something minimalist. Thanks in advance! I can run but it’s uncomfortable and the next day it’s actually worse. I only run about 25 miles per week. I also swim and bike which doesn’t bother it. Haglund’s is a tough one – you might try a shoe that has no heel counter or only a small heel counter (heel counter is the plastic insert behind the heel of the shoe to give that region structure). Some options are the Nike Free 5.0, Skechers GoRun 4, Asics 33-DFA. What shoes are you running in now? My name is Beth and I manage a Super Runners Shop. We now have group runs every Saturday. We are releasing a new model that the group runners that day will be able to experience before it hits the shelves. I would love to invite you right here in Manhattan.Please let me know if you are open. I love your reviews as they are thorough most and importantly honest in from your perspective. I would love to hear your feedback from trying them with the us small team here. No sponsors or Marketing event just to enjoy a run…I hope you would accept my invitation.